The connection between Bryan, charter schools and his giving to conservative, limited government causes isn’t surprising to David Faunce, a board member of Thomas Jefferson. “He’s an advocate for school choice and that’s where you tend to find the school choice movement, in those organizations,” Faunce said. Out-of-state organizations like Bryan’s Challenge Foundation stand to play bigger roles in North Carolina’s public education system with the state on the verge of lifting a 100-school cap on public charter schools. The contentious GOP-sponsored Senate Bill 8, which would give charters more access to education funding in addition to lifting the cap, is expected to land on Gov. Bev Perdue’s desk shortly. She’ll then have to decide if it will become law or be vetoed. The bill has been strongly opposed by Perdue’s fellow Democrats and teacher’s groups in the state that fear a rapid expansion of public charter schools could lead to defunding of the traditional public school system and steer the state back into the path of segregation. If it passes, the state would allow up to 50 more charter schools to open each year and oversight of public charters would continue to be slim. The N.C. Department of Public Instruction’s three-person charter school office and a newly created commission meeting a dozen times a year would be the only entities responsible for ensure taxpayer money is being spent wisely and that state laws are followed at the existing and new schools. Some of the new slots will likely be filled by schools affiliated with philanthropist-backed groups like Bryan’s Team CFA (the charter school arm of the Challenge Foundation), for-profit companies like the National Heritage Academies (which already manage five charters in the state) and “virtual charters” similar to K12, Inc., a publicly-traded Virginia company paying a lobbyist this year to go to the N.C. General Assembly on its behalf. Bryan’s Challenge Foundation has affiliations with four charter schools in largely rural areas in Western North Carolina – Thomas Jefferson, the newly opened Lake Lure Classical Academy, Brevard Academy and Piedmont Community College Charter School in Gastonia. The Lincoln Charter School in Lincoln County has also received grants from the foundation. The foundation’s giving goes far beyond the seven charter schools it sponsors and helps with the costs of building new schools in North Carolina, Arizona and Indiana. * Grants of $10,000 to $50,000 to conservative think tanks like the Cato Institute, Americans for Prosperity, the Heritage Foundation and the Federalist Society. * $10,000 that went to produce “The Cartel,” a documentary criticized by many movie reviewers for its anti-public education slant. The Challenge Foundation described the project as exposing “corruption, waste and intimidation in the nation’s public schools,” according to a 2009 tax filing. * $690,000 went to a handful of public charter schools in North Carolina from 2007 to 2009, including $305,000 that went to Thomas Jefferson Classical Academy. * Two grants totaling $50,000 went to Parents for Educational Freedom in North Carolina, a group pushing for more public charters schools as well as private school vouchers. The extent and influence of Bryan’s trust on the Thomas Jefferson Classical Academy and the three other Challenge Foundation Academy charter schools in North Carolina isn’t clear, with only limited tax records available in the public record to examine the connections. But two members of the Challenge Foundation, Bryan’s daughter Cheryl Reinstadler and the foundation’s national school director Joan Lange, sit on the board of Thomas Jefferson Classical Academy, flying in for meetings and make decisions with the eight other members of the board about the school’s curriculum and management, as well as the $7.6 million in public funds the school runs on. 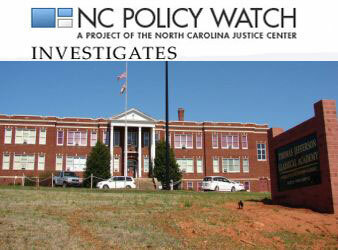 The school’s headmaster and co-founder, Joe Maimone, turned down several requests for comment from NC Policy Watch. Similar requests for comment from the Challenge Foundation were also turned down. Jennifer Bryan, marketing director for the Challenge Foundation, said in an email that the trust has been helping fund charter schools since 1989 in hopes it will improve education overall. Faunce, the school board member who worked at the school as a dean of students in its first years, says the charter school and TeamCFA have no political agenda that makes its way into classrooms. 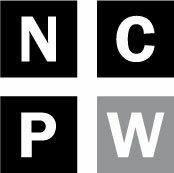 An NC Policy Watch investigation found that the school’s activities include only one political club — a Young Republican’s Club – that has a mission to “shape the future of Republican politics in North Carolina by recruiting, engaging, training and mobilizing a new generation of conservative leaders,” according to the school’s website. More contentious is the school’s annual diaper drive for a Hands of Hope for Life, a pro-life ministry in nearby Forest City that provides services to low-income women with children under the age of three and “has a general concern for sharing the love of Jesus Christ through both actions and words” by providing information about prenatal development, abortion and abstinence education. Joel Medley, the acting director of the N.C. State Board of Education’s charter school office, said that because charter schools are independent non-profits, separate from the state education agency, there’s nothing to prevent the public schools from taking part in activities like a diaper drive that benefits religious anti-abortion groups. But others feel differently, including Barry Lynn, the executive director of the Americans United for Separation of Church and State as well as an ordained minister with the Church of Christ. “This is clearly an unconstitutional program,” Lynn said. “This charter school is connecting itself to a religious ministry. “They can’t do things like that,” he said. Lynn said his group is increasingly hearing about problems at charter schools, where staff may not realize that part of operating a public school means respecting the distance it needs to keep from religious causes. Public charter schools, funded with public dollars and tuition-free, are off-shoots of traditional public school systems recently glorified in critically-acclaimed documentaries like “The Lottery” and “Waiting for Superman,” which portray the schools as last hopes for parents raising children in urban areas with sub-standard schools. But charter schools and the parental choice movement that goes along with them have also become rallying cries for conservative groups and the Tea Party movement that’s praised the business-like approach to education and want to see a larger expansion of the schools. Other backers of charter schools include Democrat President Barack Obama and his education secretary, Arne Duncan. Critics of the school choice movement fear the call from conservative quarters to expand charters is a dangerous first step to privatization of the public education system. In North Carolina, the push for charters is coming as the state grapples separately with a $1.9 to $2.4 billion budget shortfall that will result in drastic cuts to the state’s public schools, with proposals like eliminating most teachers’ aides positions in classrooms or cutting early education programs being considered. Only three percent of North Carolina’s public school students attended charter schools in the 2009-10 school year, but those numbers may increase dramatically if legislation lifting the 100-school cap on charters becomes law. While individual schools like those profiled in last year’s hit documentaries and the Raleigh Charter School have been praised for their successes, some scholars have found that charter schools as a whole don’t necessarily provide a better education than the traditional school system, and sometimes provide a worse education. An often cited 2009 national study of standardized test results by Stanford University scholars, found that for every charter performing better than the traditional public schools in its area, there are two charters either at or below or the performance of their public school counterparts. The study found things were slightly better in North Carolina where charter school students’ reading skills were higher overall than students in traditional schools, but that their math skills were significantly worse off than their peers in traditional schools. Black students in the state tested significantly below their peers in math, and there was no difference in reading, according to the Stanford report. When it comes to racial makeup of charters, Duke professor Helen Ladd recently surveyed the state’s charter schools and found schools tended to be either primarily white or black. Out of the 99 charter schools in North Carolina, 37 had populations comprised of more than 80 percent white students while 26 schools have populations that are less than 20 percent white, she said. The state Department of Public Instruction doesn’t keep track of the household income levels of charter school students, something it does track for traditional public students. Charter schools, and the size of the future role in will play in state education, has been one of the most contentious issues in the state legislature this session. The debate over whether more charters should open up in the state and have access to a bigger stream of public money has fallen sharply down partisan sides in North Carolina, with the newly empowered Republicans supporting the expansion of charters and their access to public funds. Nowhere else in the state is that debate as fierce as in Rutherford County, the home county of Thomas Jefferson Classical Academy. The county is one of the few rural areas in the state to have a significant population of students attend charter schools, with nearly 10 percent of Rutherford County’s school-aged students attending charter schools. Going along with those students its funding the Rutherford County School system sends each year to Rutherford County, nearly $850,000 a year, according to the school district 2009-10 finances. Giving rise to tension in the larger community about charters was a lawsuit filed in 2009 by Thomas Jefferson Classical Academy against the Rutherford County School System seeking more funding the charter schools says it’s entitled to. An appeals court is expected to weigh in soon on the suit, in a decision that charters across the state are watching to increase the funds they get from public school system. With the lawsuit simmering in the background, the county has quickly earned a reputation for the most vocal opposition to the Senate Bill 8 legislation, with a grassroots effort led by Kelli Fisher Wilson, a parent with two children in the Rutherford County School System started a Facebook page “Stop N.C Senate Bill 8.” The page has attracted more than 1,200 followers in the largely rural area, and kept community members up to speed with the debate on charters happening more than 200 miles away in Raleigh. The county also attracted attention last month when several GOP backers of the charter school legislation mocked grammar and spelling mistakes found in emails sent students sent to lawmakers about the legislation. Wilson, the parent organizer in Rutherford County, doesn’t have a problem with the cap on charters being lifted but said she doesn’t want to see charters get portions of funds for programs they don’t offer, like school nutrition and transportation costs. Nor is the issue a partisan issue in the largely conservative Rutherford County, Wilson said. Instead, criticism being launched at the traditional public schools has split the community into two camps, those that support the charters and those that support the traditional school system. The split was highlighted by the lawsuit, but has its roots in the souring economy in the county, a one-time manufacturing hub that saw several big companies pack up and leave during the last few years of the Great Recession. That’s left the area with an unemployment rate twice that of the state average and the biggest employer in the county is now the county school system, followed by Wal-Mart, according to the county’s visitor bureau. The school population hasn’t been immune to the economic woes of the recession, with the individual county schools seeing 50 to 90 percent of students eligible for free and reduced lunch, a common marker of poverty in a school population. The lunches are normally $2.00 or less, depending on the child’s grade. Thomas Jefferson doesn’t participate in the federal program, but low-income parents can get a discount where they pay $2.50 a day for lunch, instead of the $3.75 normally charged. Over a 180-day school year, lunches alone would cost $675 at the full price at the charter school, or $450 at the reduced rate, a potential barrier for some families. Low-income parents can also get help with free or used uniforms, according to the charter school’s website. Faunce, the Thomas Jefferson board member, said in an interview that the charter school serves the “poorest of the poor in Rutherford County” but was unable to provide information about how he came to that assessment. The school doesn’t keep track of the exact number of students considered to be economically disadvantaged, nor does the state education department demand charter schools keep track of that information. He did estimate 40 percent of the Thomas Jefferson Classical Academy school population falls within 185 percent of the federal poverty line, the marker for free and reduced lunch, but said the figure wasn’t exact and was based on poverty estimates of the communities students lived in. Many parents see that unemployment in the larger community and want better for their children, said Bryan King, the current board president for Thomas Jefferson. And that can mean having their children attend Thomas Jefferson over the traditional system, said King. King, whose family has been running a cornmeal mill in the county for five generations, has a daughter attending the academy’s grammar school campus. “They want to get them out of this high unemployment environment and see them succeed,” he said. That impression that the traditional public school offers less opportunities that the Thomas Jefferson charter school, has fueled much of the debate and anger in the county, Wilson said. Supporters of the traditional system say it’s also unfair, and ignores the successes of the public schools. Wilson feels that public schools, and families that go to them, have wrongly been labeled as failed schools, and that as a result the families and children that remain in those schools end up being seen as less than their charter school peers in the Rutherford County community. Supporters of the Rutherford County schools are quick to point out successes the school has had, including securing a federal “Race to the Top” grant to give every middle school student a laptop to use for schoolwork. Another topic of boasting for supporters of the traditional school system is Emma Zarriello, a senior at Chase High School was recently selected to receive a Morehead -Cain Scholarship to UNC-Chapel Hill, the most prestigious merit award the university offers to undergraduates. King, the board president of Thomas Jefferson, sees competition between the school system as both an asset and a drawback in the county. Next article Minor cracks in Republican unity?